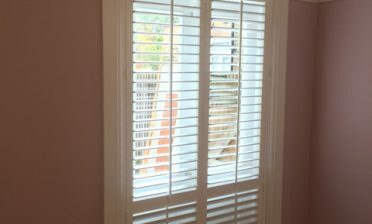 We were approached by a customer who was looking to have some of our shutters fitted into a recently decorated home. 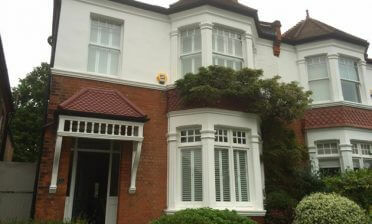 The shutters were to be fitted to multiple windows which were all of different sizes and situated at different angles. Installation was carried out by Shaun & Ben to this property located in Banstead, Surrey. 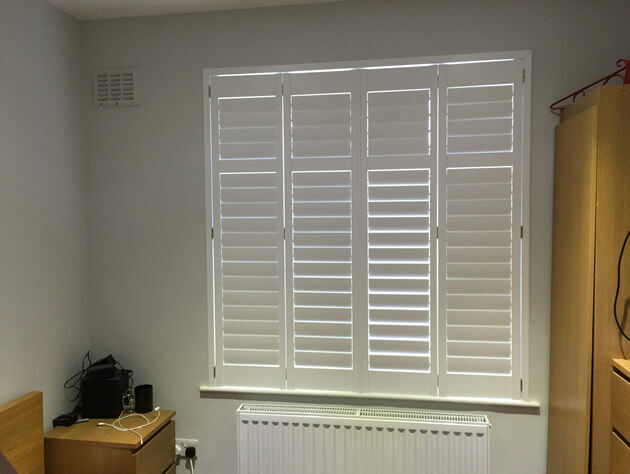 With our shutters being custom created to your exact windows we can use exact measurements taken from our survey to create windows that are sized and shaped to meet the exact specifications of the windows in your home. 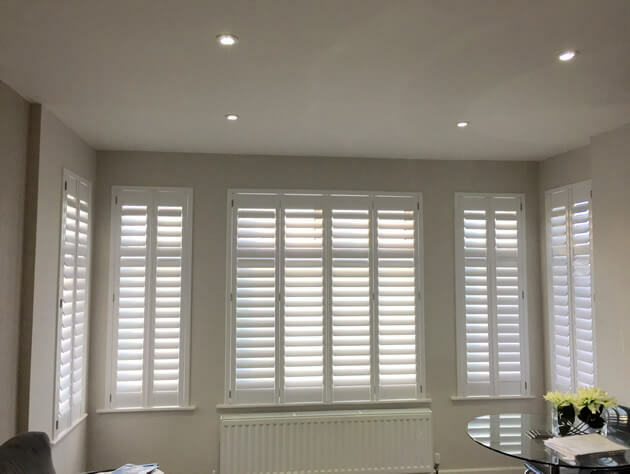 The shutters were created to fit a bay window style area, a normal rectangular window and also an area of five windows facing frontwards and to the side. We designed the shutters to all be created in exactly the same style and finish so that they would match throughout the whole property. We used full height shutters with a mid rail section towards the top of the shutter panels. This gives the client flexibility when it comes to adjusting the shutters, as the top and bottom section can be adjusted separately. 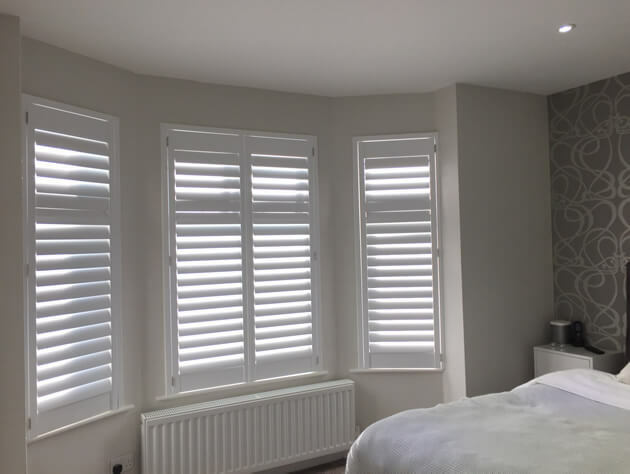 The shutter material we used was taken from our Bali Range which is made up of an LDF shutter with light weight ABS louvres, making for a cost effective solution which look very similar to are hardwood ranges. We used 76mm louvres throughout with hidden tilt rod system allowing the louvres to be adjusted using just touch, rather than a visible tilt rod. 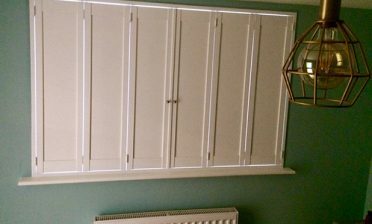 All shutters were finished in a lovely pure white paint with chrome hinges against the frames, helping to create the modern look that the client wanted to achieve.